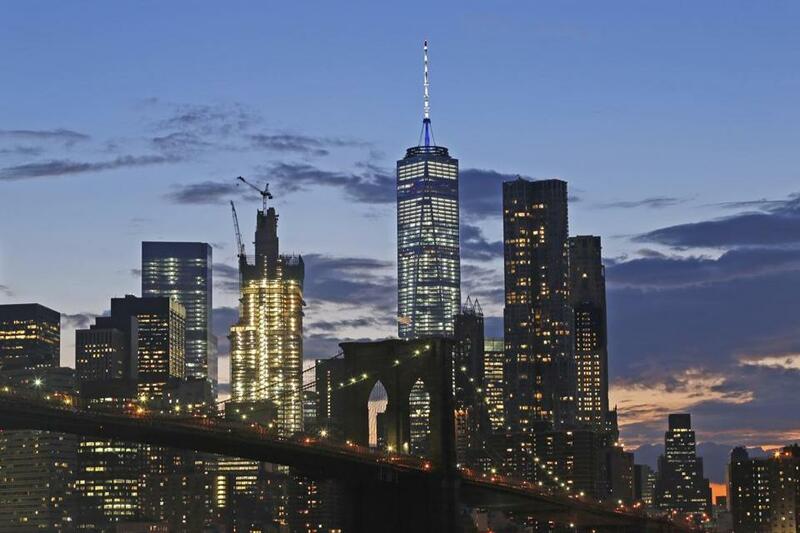 The lower Manhattan skyline, including One World Trade Center. Some experts say President Trump’s travel ban could be as damaging to US tourism as the Sept. 11 attacks. President Trump’s travel ban targeting nationals of seven Muslim-majority countries may not have held up in court, but it appears quite successful at keeping plenty of other people out of the United States. Trump’s order brought with it a swift decline in the number of worldwide tourists and travelers looking to visit the United States, say people in the tourism industry. Some say it could be as damaging to the US tourism sector as the Sept. 11, 2001, terror attacks. Online booking websites reported that flight searches from international points of origin to the United States were down anywhere from 6 percent to 17 percent since Trump signed the executive order on Jan. 27. But experts say what’s more alarming is the icy message it sends to the world. Just last week the US Travel Association reported that in 2016, the number of international tourists had finally returned to pre-Sept. 11 numbers. In the weeks since Trump’s executive order was issued, the website Hopper found that flight searches to the United States were down 17 percent compared with the last three weeks of the Obama administration. The decline rippled to nearly every region of the world, with the exception of Russia and Eastern Europe. Protestors gathered earlier this month in New York for a rally against President Trump’s immigration policies. Although for now the courts have stopped the ban from being enforced, those in tourism say the message was sent: The country is not welcoming of outsiders. “Every time a story comes out about challenges at customs and border patrol, a potential tourist to the US may get cold feet,” said Jason Clampet, editor and cofounder of the travel industry website Skift. The travel research site ForwardKeys found a 6.5 percent drop in international flight searches to the United States after Trump signed the order, compared with the same eight-day stretch in 2016. “The data forces a compelling conclusion that Donald Trump’s travel ban immediately caused a significant drop in bookings . . . and an immediate impact on future travel,” said Olivier Jager, CEO of ForwardKeys. The British company monitors travel patterns by analyzing 16 million flight reservation transactions a day. The percentages may not sound large, but specialists caution that a drop in the 77.5 million international tourists who come to the United States, spending $133 billion here, could have far-reaching consequences for the economy. According to US Travel, tourism directly supported more than 8.1 million US jobs in 2015. Particularly concerning to Quinby are the Trump administration’s comments regarding Mexico and China, as Mexican and Chinese tourists represent a large percentage of visitors to the United States. One of Trump’s key campaign promises was to build a wall along the US border with Mexico to keep “bad hombres” from entering the country, and insisting that Mexico will pay for it. The president has also often stated that he would like to raise tariffs on trading partners Mexico and China. Quinby said a trade war with China could have a profound effect on tourism. Before the election there were concerns that tourism to the United States would be down in 2017 based on the strength of the dollar. Other potential threats to the travel industry were warnings issued by the governments of the United Arab Emirates, the Bahamas, France, United Kingdom, Canada, New Zealand, and Germany urging their citizens to take caution when visiting the United States, citing dangers such as mass shootings, police violence, anti-Muslim and anti-LGBT attitudes, and the Zika virus. 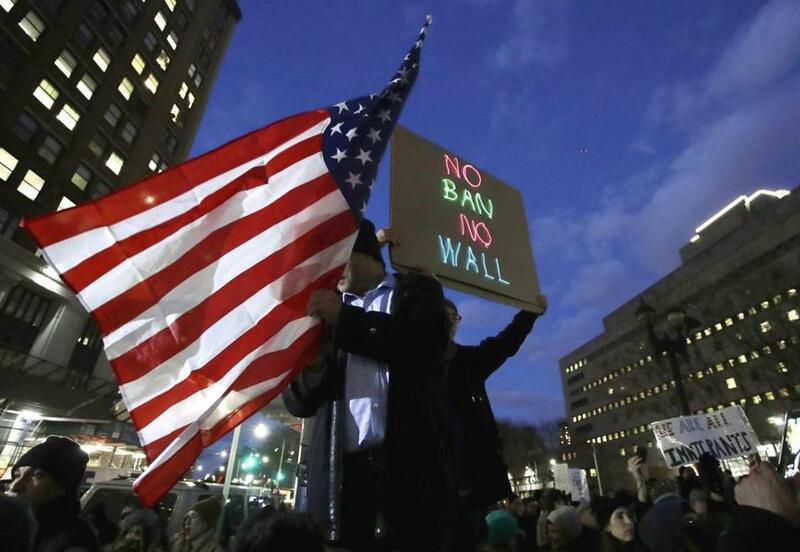 While those factors likely contributed, experts such as Grella, of the US Travel Association, said Trump’s executive order is a much greater factor. Trump’s seven-country travel ban was unanimously rejected by a federal appeals panel last week. After the ruling, Trump indicated via Twitter that he would continue to pursue the ban through the courts, then days later alluded to reworking the executive order. “The executive order is not only unjust, but also creates uncertainty for visitors from many other countries about what the US’s policies will be in the future,” said Adam Goldstein, CEO of the travel booking site Hipmunk. The company also saw an 8 percent drop in international travel searches on its site. Business travel is also taking a hit, according to Mike McCormick, executive director of the Global Business Travel Association. He said that as of Feb. 8, $185 million in business travel bookings have been lost because of the ban. Still, Grella said he’s optimistic that, as a businessman, Trump will address how the United States is viewed on a global level.